Summer is almost here. Many schools have already released students for the summer break. Make sure your community knows that fire does not take a summer break. 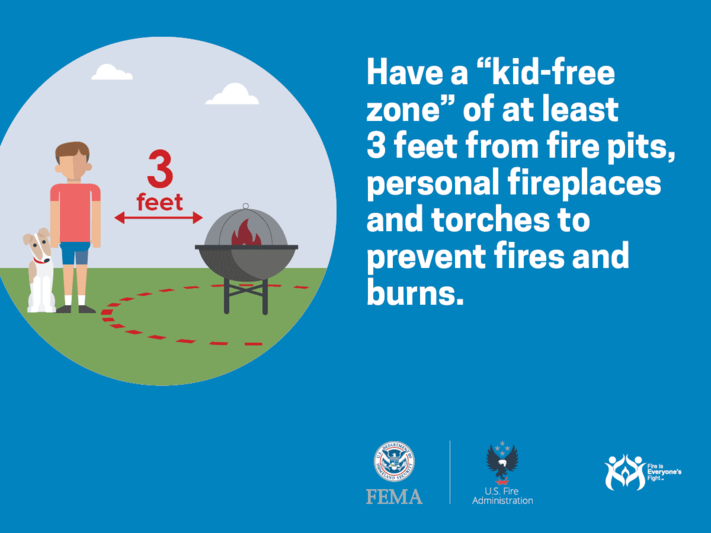 Share these fire safety messages to remind children and their caregivers to have a fire safe summer. •	Make a home fire escape plan and practice it at least twice a year with your children. •	Have a fire escape plan for young children who cannot get outside by themselves. Talk about who will help each child get out safely. •	Children should know what to do when they hear a smoke alarm and there is no adult around. Help them practice going to an outside meeting place. •	Teach children to never go back inside a building that is on fire. •	Keep children 3 feet away from anything that can get hot. •	Keep smoking materials locked up in a high place. •	Never play with lighters or matches when you are with your children.